My October has not been what I expected it to be. In the last month I have been to a bachelorette party, a wedding and a baptism. I have also driven to Montreal twice and spent a week in Finland. All the things I planned on doing didn't quite pan out, but they were replaced with other things. So I guess I still ended up on the positive. I am enjoying the Halloween feel you get when you walk around the neighborhood. I saw glimpses of it driving back last night, and I think I might just go out for a walk with a camera today to capture some of the awesome decorations! I'll share the highlights with you this week! This is the prize package going out to Eva. She won the Halloween giveaway last week! The next one is a pretty fun one! 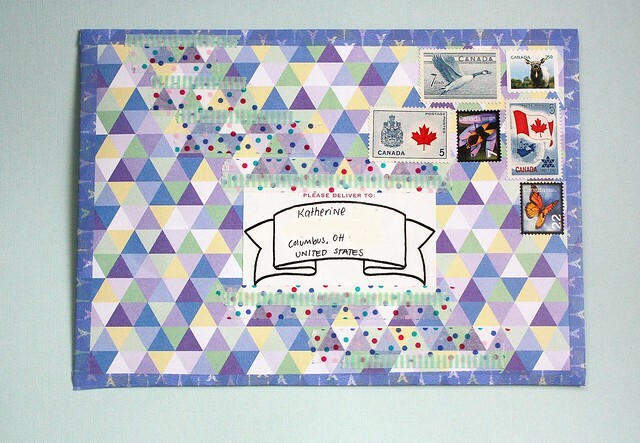 It's an order from my shop going out to Katherine. 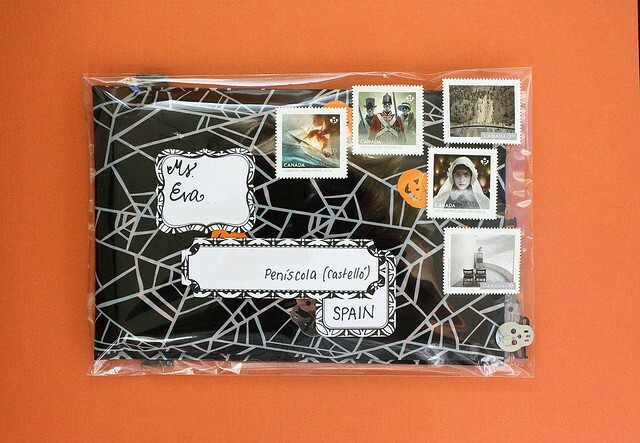 I really like the envelope! 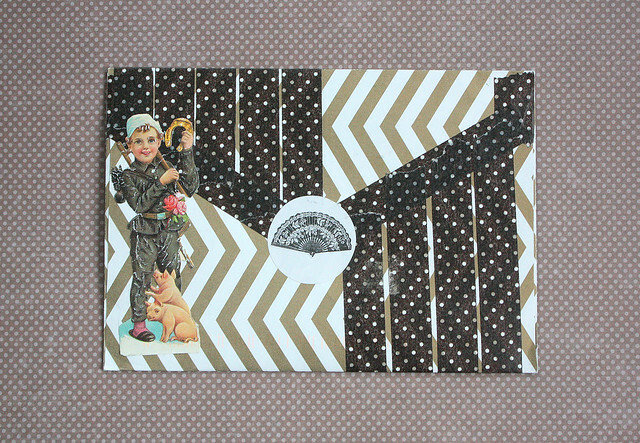 I picked it up on my travels and added some extras with the washitape decorations and a ton of vintage stamps. I really like how it turned out! This is another order from the shop. 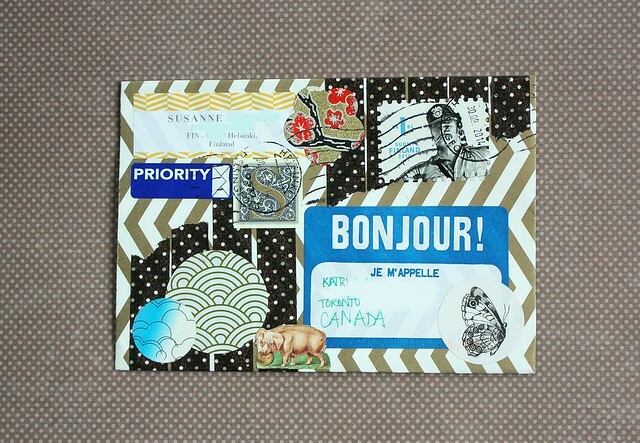 A handmade envelope, washitape and a mix of new and vintage stamps. Fairly standard, but I really like seeing them come together, because the results are always different, even if the components are often the same. 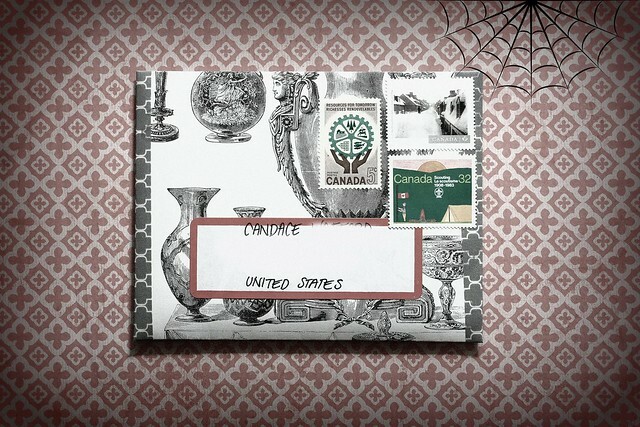 I wanted to share this incoming letter, since I really like the decorations. It's from Susanne. Just look how awesome it is! How are you guys doing? Getting excited for Halloween?